Are you a track owner and/or race promoter looking to take your events to the next level with professional level awards? 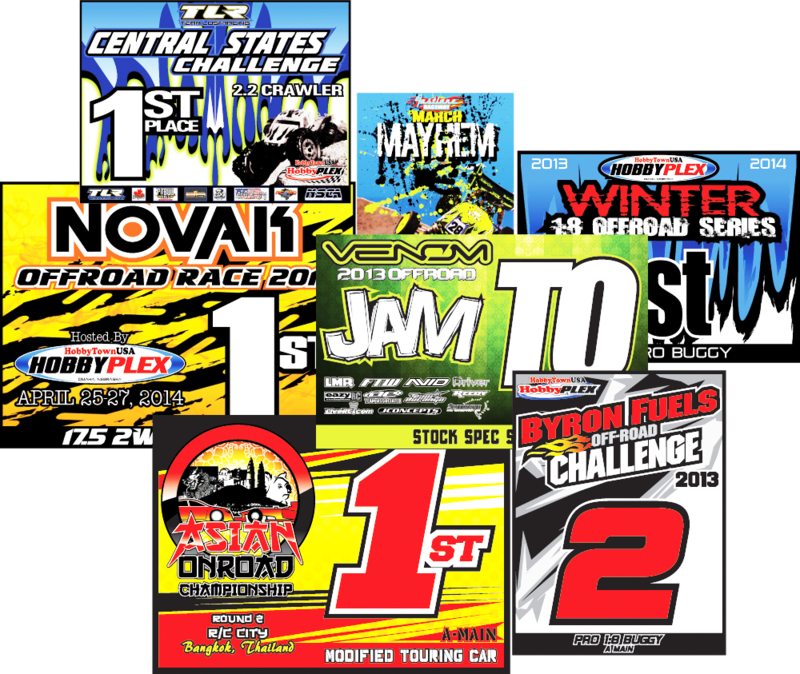 BOOMrc offers a complete lineup of custom Custom Award Decals. These bad boys are specifically designed for your event with it’s own custom design, text, colors, and more! Like all of the BOOMrc decal kits, our Custom Award Decals are made up of high performance material that is designed to handle the rough and tumble of R/C including dirt, mud, water, fuel, and more! Perfect for pit boards, wall plaques, and more! Did we mention application is as simple as peel and stick? That’s right…no more scissor cutting your stickers out! These bad boys are pre-cut, lightweight, and ready for application when they arrive at your door! What are you waiting for? Whether your event is big or small, take it to the next level by ordering your very own BOOMrc Custom Award Decals today! For pricing, sizing options, and ordering simply fill out the contact form below – OR email us directly at info@boomrc.net! Please list specific sizes, design ideas, etc. that you are looking for. If you have logo files or design photo examples, please email us your order with those files attached to info@boomrc.net.